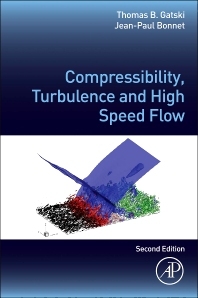 Compressibility, Turbulence and High Speed Flow introduces the reader to the field of compressible turbulence and compressible turbulent flows across a broad speed range, through a unique complimentary treatment of both the theoretical foundations and the measurement and analysis tools currently used. The book provides the reader with the necessary background and current trends in the theoretical and experimental aspects of compressible turbulent flows and compressible turbulence. Detailed derivations of the pertinent equations describing the motion of such turbulent flows is provided and an extensive discussion of the various approaches used in predicting both free shear and wall bounded flows is presented. Experimental measurement techniques common to the compressible flow regime are introduced with particular emphasis on the unique challenges presented by high speed flows. Both experimental and numerical simulation work is supplied throughout to provide the reader with an overall perspective of current trends. Dr. Gatski has been involved in turbulent flow research for over 25 years, primarily in the development and application of turbulent models to aerodynamic flows. He has edited books and published extensively in the field, and now serves as an Editor-in-Chief for the International Journal of Heat and Fluid Flow. Dr. Bonnet has worked on experimental research in compressible turbulence in supersonic flows since the early 1980s. He is a member of the Editorial Board of the International Journal of Heat and Fluid Flow and the ERCOFTAC Special Interest Group on turbulence in compressible flows.